Conor McGregor is BACK in America — this time, no violence … just cuteness!! 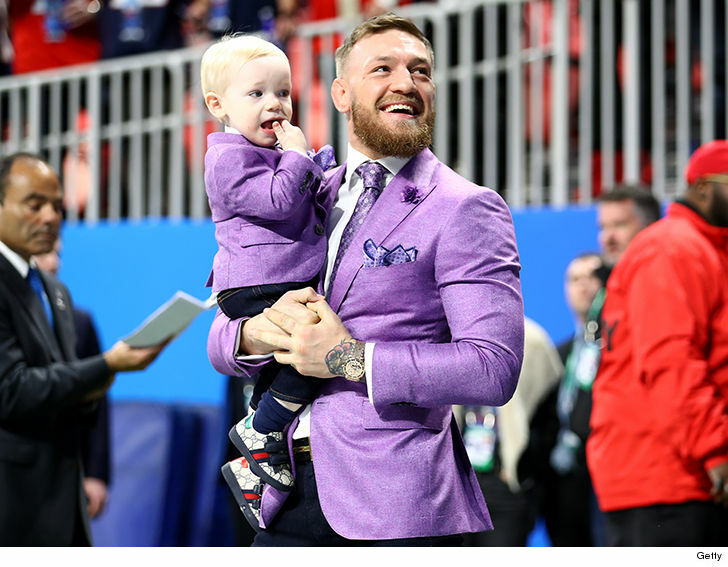 The UFC superstar and his 1-year-old son, Conor Jr., just arrived at Mercedes Benz Stadium in Atlanta, in matching purple suits … and they’re both STYLIN’!!! Conor is a huge Dallas Cowboys fan — he became with friends with Jerry Jones in 2018 — but since they’re not in the big game, unclear who Conor will be rooting for. One thing’s for sure … Conor ain’t missing an opportunity to flash his mug at the biggest sporting ever of the year!! By the way, look at Conor McGregor Jr.’s designer kicks — sweeeeeeet!!!! 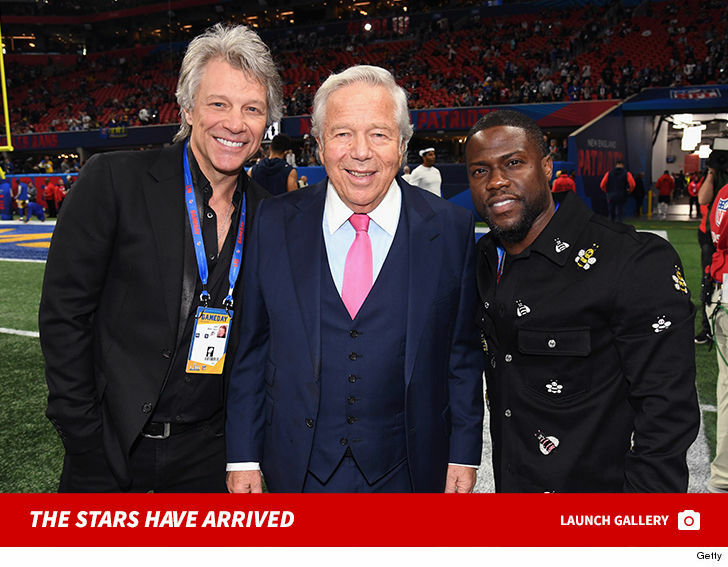 The A-list stars are starting to arrive at the stadium — Jon Bon Jovi, Kevin Hart and Ludacris are already there. So is Rams superfan YG — he’s been a good luck charm for the Rams this season, this is good news for L.A.